We provide care for adults and children with ear, nose and throat disorders. From correcting painful sinus conditions, to treating hearing loss, we make a difference in people’s lives everyday. Using state-of-the-art lasers, electrosurgery or endoscopic surgery, we can treat most of your ailments, specifically tonsilitis and ear infections in children, snoring, breathing or hearing problems in adults. 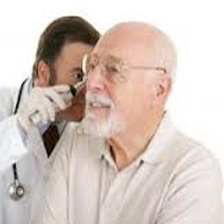 • Management of hearing disorders by using the state of art audiology tests tools in a soundproof room, hearing disorders can be detected and treated early at any age. Most of the time, you can see our specialist without an appointment, although the waiting time is shorter if you do have an appointment.